A blog about book recommendations, book reviews and book hauls. I am so honored and excited to be writing this review. The author followed me a couple of days back and I told him I have a bookish blog that I write reviews on. He asked me if I wanted to do a review on his book and I of course said yes. So, he sent me the book via email and here I am writing this review today. The population of the island of Turios is mercilessly exterminated by the workings of black magic. Only Bashinoir, badly wounded, his wife Lil, and the Priestess Miril have survived. Determined to give their loved ones a worthy burial, the three soon discover that the corpses have disappeared. A shadow spreads over their hearts, dividing and destroying them, as their bodies appear to be fading away. 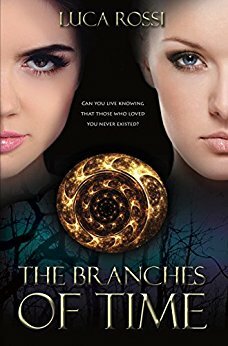 Feeling increasingly isolated, Bashinoir watches as the two women grow closer.. In the Kingdom of Isk, wizards and wisemen alike must bow down before the insatiable King Beanor, whose greed of power and war is matched only by his hunger for sez. A young woman he has chosen as his next bride does not, however, wish to surrender her freedom to love and live. Will games and tricks under the sheets turn the tide in a war that has lasted thousands of years? First off, I was very skeptical about reading a fantasy book because I've not liked reading fantasy books for a long while. However, this book proved me wrong, as this was simply amazing. This has very beautiful character names and a nice thrilling start to the story, just what a book needs to hook a reader and make them read more. The book also has very well described scenery and other things such as the characters. I got the winter vibes from this book because of the scenery, which felt great, so I'd say that this book is a perfect book to read in winter. The story line is very-well structured, I liked it that it held together for the whole book as with some books it falls apart at some point. Overall, I loved this book, even when it had sexual preferences and scenes, but there wasn't that many that it would've bothered me although I'm not used to reading them. Overall, this book was shocking, thrilling and amazing! It made my heart beat faster because of the thrilling story line at some points. This is why I'm making this book my The Book of the Month of November. Comments: Shocking, thrilling and simply amazing. Everyone should read this, I mean everyone! 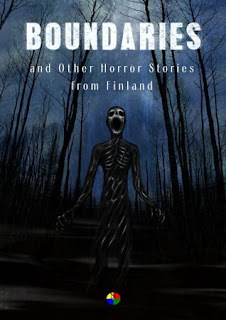 The book is telling horror stories written by Finnish authors, in English for the first time. It's 200 pages full of horror might make you lose your sleep. I myself liked this a lot, it was an interesting read as a Finnish person. I wanted to read this in English just because I don't read anything in Finnish these days. I haven't read anything in Finnish for over three years now, I just feel like I can get into the stories better when they're written in English. Anyway, back to this book. Some of the stories were so scary that I couldn't even finish reading them, but I read almost all of the stories anyway. They caught me into their imaginary world so well that I didn't even move from an hour or two whenever I was reading this book. They were so well put together and they had such good plot twists that I just simply couldn't stop reading. I wish there were more books of these kind. Whoever is into horror needs to read this. 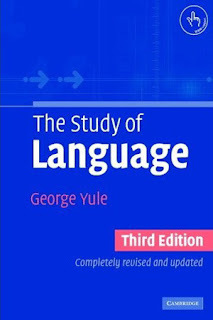 This book provides an engaging and user-friendly intoduction to the study of language. Yule presents information in bite-sized sections as he's assuming the reader has no prior knowledge of the subject. He clearly explains the major concepts in linguistics, through all the key elements of language. I read the 6th edition, and absolutely loved this. I learned a lot of new things from this that I've never known even existed before. It's really helpful as a book to read if you want to know more about how language developed and where it comes from in the human body and everything like that. Although this was one of my university entrance exam books, I still enjoyed reading this very much. I'll probably read this again in the future! It was easy to read and understand, so it's very suitable for reading other times than just for entrance exams. For the first time in my blog, I'll be doing a book review in Finnish. I'll be doing this in Finnish because this is a Finnish book that hasn't been translated to any other language. Kirja kertoo henkirikoksista, joka on julma ja luonnoton kuolinsyy. Tuo tapahtuma mullistaa uhrin omaisten ja läheisten elämän täysin silmänräpäyksessä. Henkirikosuhrien läheiset eroavat tyystin muista surevista, ja läheisten kohtaaminen vaatii paljon myös kokeneelta ammattilaiselta. Tässä kirjassa kertovat tarinansa ihmiset, joiden perheenjäsen on kuollut henkirikoksen uhrina. Omaisten lisäksi äänen saavat eri alojen ammattilaiset, jotka valottavat jälkien syvyyttä henkirikoksissa ja niiden moninaisuutta.